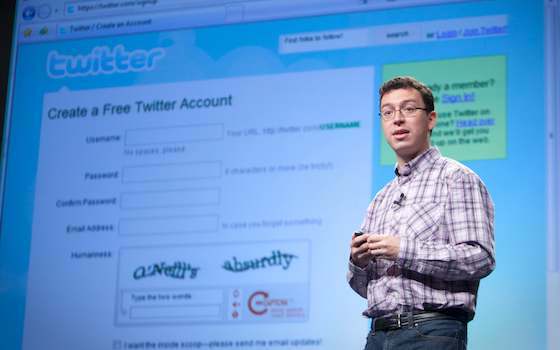 If you think that Latin America is doomed to remain behind in science, technology and innovation - as one could conclude from the latest international rankings of patents of new inventions - you should meet Luis Von Ahn. Von Ahn, a 34-year-old Guatemalan computer scientist and entrepreneur, invented those pesky little test boxes with distorted letters that appear on your computer screen every time you buy concert tickets or access websites that want to make sure that you are a human, and not a machine. The system, known as CAPTCHA, is being used by about 180 million people daily around the world. But that was only his first major invention, when he was 22. Three years later, after obtaining his doctorate in computer science at Carnegie Mellon University and becoming a professor there, Von Ahn and one of his students created RE-CAPTCHA, an improved version of the human authentication test. They sold it to Google for a sum that - because of a confidentiality clause - he will only say was between $10 million and $100 million. Last week, I talked at length with Von Ahn about his career, his latest project - a free language learning system called Duolingo - and about what Latin American countries should do to produce many more world-class inventors like him. According to newly released data from the Geneva, Switzerland-based World Intellectual Property Organization, a United Nations-affiliated agency, Latin American countries are at the bottom of the list when it comes to generating patents of new inventions. Last year, the United States applied for 57,200 international patents of new inventions, Japan 43,600, China 21,500, South Korea 12,300 and Israel 1,600. Comparatively, all Latin American and Caribbean countries together applied for a total of about 1,200, WIPO statistics show. In other words, South Korea alone produced 10 times more international patents than all Latin American and the Caribbean countries. Von Ahn told me he left Guatemala at age 17 to study at Duke University, because there wasn't any good school offering degrees in mathematics in Guatemala at the time. But that's not the case in larger Latin American countries, where there have long been good science schools, and a growing interest in innovation, he said. "Everything I have done could have been done in Mexico, Brazil or Argentina," Von Ahn told me, referring to the computer programs he invented. "What I do does not require a $500 million scientific research project, like those that try to find a cure for cancer. What's needed in Latin America is a culture of entrepreneurship." Von Ahn's new Internet language learning system, Duolingo, has already enlisted 25 million users since it was launched in mid-2012. While there are many existing language learning websites - such as Open English, founded by Miami-based Venezuelan entrepreneur Andres Moreno, Voxy, and Rosetta Stone - Duolingo is one of the few that offers language courses for free. How do you pay for it, if the courses are free? I asked him. It turns out that Duolingo funds itself by selling its students' homework. Von Ahn invented a system whereby Duolingo gets documents for translation from its clients, and gives them to its students to translate as part of their homework. Students later pick the best translation through a collaborative process, and Duolingo sells the final translated document at discount rates to companies such as CNN, for their multi-language websites. "Usually, a professional translator charges 10 cents a word, whereas we can charge as little as 3 cents a word," Von Ahn told me. "And the quality of the translations is good enough for our clients to be happy." My opinion: As I am finishing a book on innovation that I have been working on for several years, I am finding increasingly more hidden Latin American innovation treasures such as Von Ahn. The only reason why many of them flourish outside their native countries is that the United States and other innovation-friendly nations offer them what Von Ahn calls an "entrepreneurial climate" that encourages their work. There are no biological or geographic reasons why Latin America can't make a big leap, and dramatically increase its dismal international patent figures in a relatively short time. South Korea was poorer than most Latin American countries only four decades ago, and has become one of the world's most prosperous nations thanks to its national obsession with quality education and innovation. So it can be done - and faster that most people think. "Latin American Inventors Thrive in United States"